Although Field Notes is primarily known for their pocket-sized notebooks, in the summer of 2012 they branched out into the business of book publishing. The first (and so far only) book printed under the Field Notes brand, A Drive Into the Gap by Kevin Guilfoile, was released alongside their limited Day Game edition of Field Notes notebooks. And while the notebooks have long since sold out, I quickly scooped up a copy of the book when I saw that it remains available on the Field Notes website. 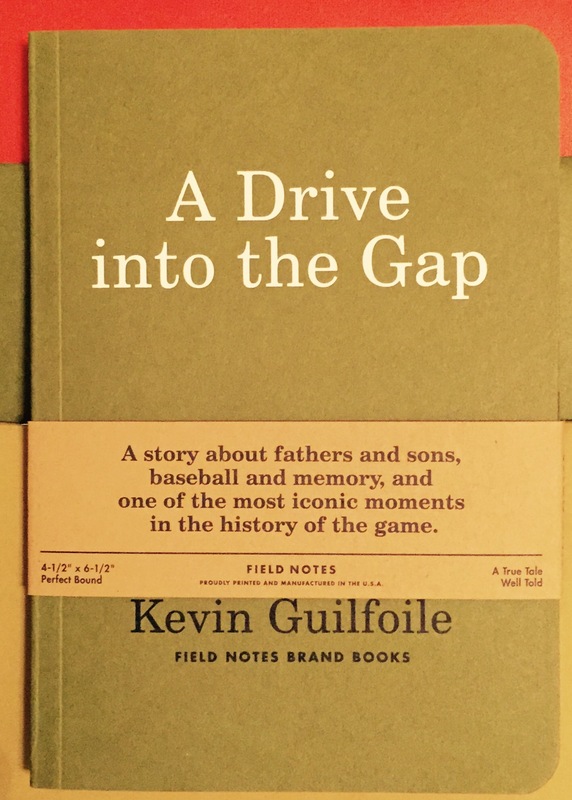 A Drive into the Gap is a short memoir of Guilfoile’s father, who spent his career in baseball, first as a public relations director for the Pittsburgh Pirates then as a director for the Baseball Hall of Fame. Now, later in life, his father has developed Alzheimer’s disease, and Drive seems to be Guilfoile’s attempt to recapture a piece of what the disease has taken away. A Drive into the Gap is a very sentimental and well written book. In essence, it’s a story about stories – baseball stories, specifically. Guilfoile’s father loved telling them, often with entertaining embellishments. And at only 71 pages, it’s hard for me to say too much more without spoiling the whole thing. Luckily, it’s the type of book that can be read in an afternoon, and I enjoyed it immensely, even though I don’t follow much baseball. 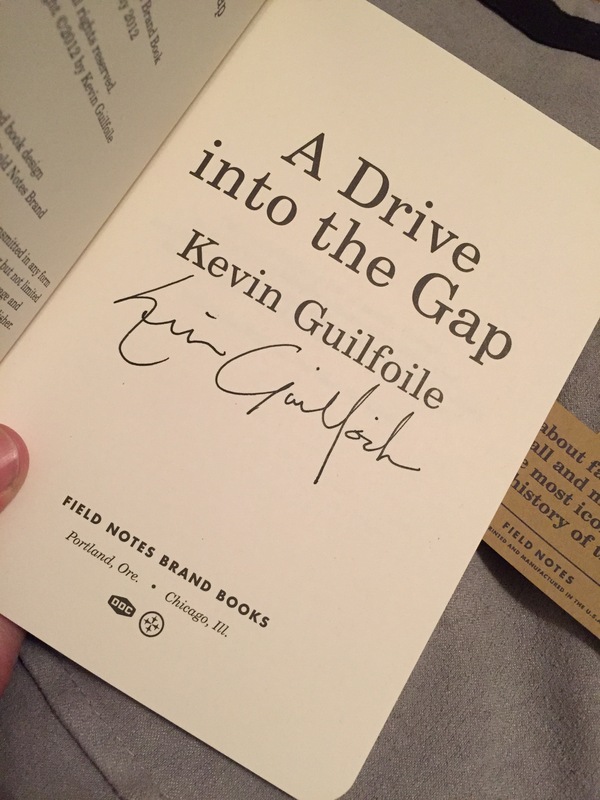 As I’m writing, it’s been over 3 years since Field Notes released A Drive into the Gap, and it remains the only book they have published. I contacted Field Notes to ask whether they had plans for any other books. Unfortunately, I only got the vague response that nothing is currently in the works, but they aren’t ruling out the possibility of publishing something in the future. After reading this book, I sure hope they do.